I used to never and I repeat, NEVER wear lipstick. i'm a huge fan of lipsticks, especially the NARS crayon mat : PER-FECT ! 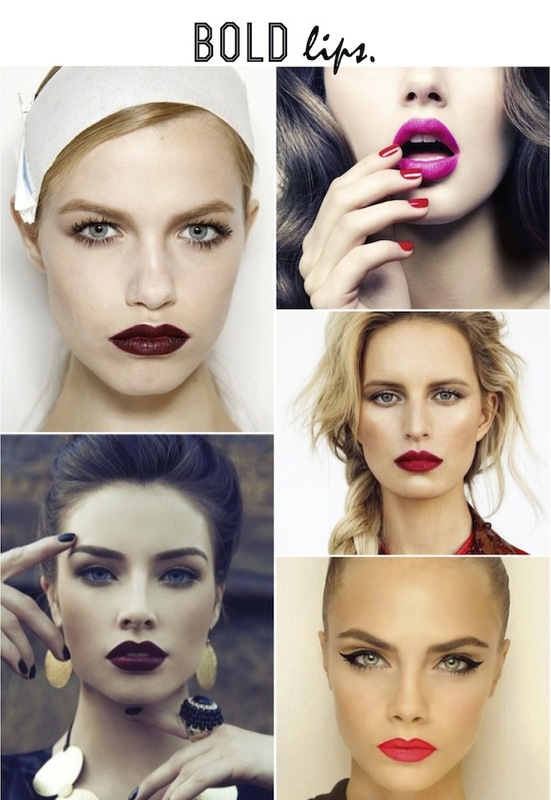 Beautiful inspiration shots, love the red lip! I love a bright red lip--it adds so much drama, and pink is so sweet and feminine. Love these looks! 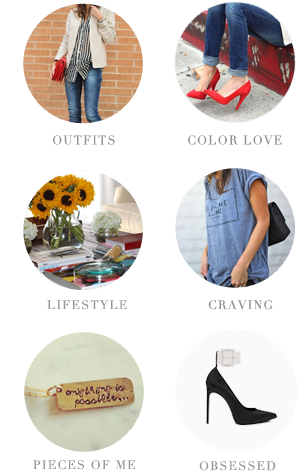 LOVE the bottom left image -- wanting that exact color for fall now! I'm loving the perfect shade of red or fuschia for fall. It's a great way to add that pop to an outfit.